Rupert Pupkin Speaks: Favorite Underrated Horror - Laird Jimenez ""
Husband and wife writing team Willard Huyck and Gloria Katz will be best remembered for their contributions to various George Lucas productions (American Graffiti, Star Wars, Temple of Doom, etc) or worst remembered for their contribution to a specific George Lucas production (Howard the Duck, which I like, but I understand why people don't). 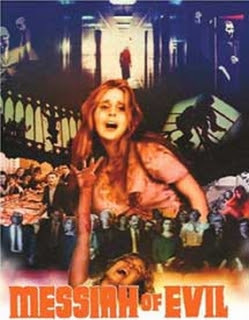 Before they received their Academy Award nomination for American Graffiti, they made this low budget horror movie that captures the same creepy, nightmarish vibe of Carnival of Souls. Shot in Techniscope (a process that uses only half the amount of film as traditional 35mm 'scope), the production design features strange art pieces and isolated locales that just ooze atmosphere and menace. Cherry on top: Elisha Cook Jr and Royal Dano both make appearances. 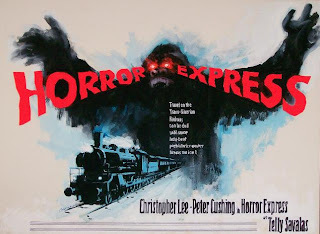 Horror Express has been described as "like a Hammer Films production of John Carpenter's The Thing on a train," and well, that's pretty accurate. Despite the presence of both Christopher Lee and Peter Cushing, Hammer had nothing to do with this Spanish/UK co-production. What really sets this one over the edge is the presence of Telly Savalas as the Cossack officer in charge of investigating the murders on the train. Throw a "whodunnit on a train" into that above description. An early Hammer Films Quatermass entry that neatly meshes the very 50s sci-fi fear of nuclear science with that tragic body horror of something like David Cronenberg's The Fly. Val Guest, as with his great, apocalyptic The Day The Earth Caught Fire, directs things with a relatively grounded realism that make the fantastic elements all the more horrifying. 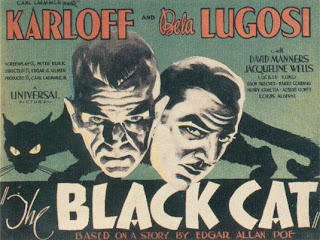 Jacques Tourneur's directorial efforts under Val Lewton certainly get plenty of respect, but for some reason this one slips under the radar. Based on an M.R. James story, Night of the Demon deals with the classic (and very British) horror conflict of the academic non-believer against the unknowable. 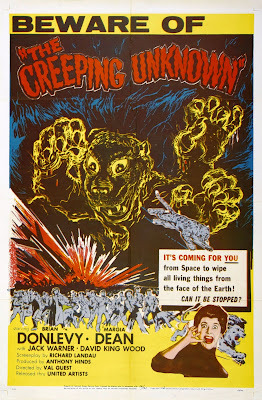 The production was famously marked by a conflict of its own between Tourneur and the producer over the issue of whether or not to show a literal demon in the movie. Tourneur, of course, didn't want to, but the producer deemed it necessary in order to sell the movie. The design of the demon is so great that I almost want to side with the producer on this one, though when it makes its appearance, it does feel like something from another movie. 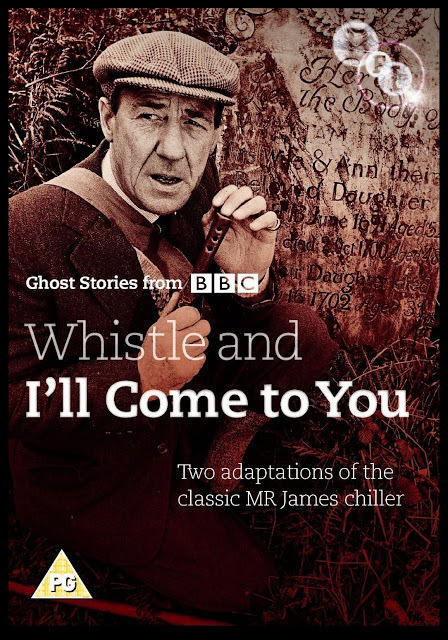 The BBC has adapted a number of M.R. James' ghost stories into short films, but this one is my favorite. It's an extremely slow burn that builds to a climax that, if you allow yourself to get invested in it, has one of the most terrifying endings of all time. It's all accomplished with very little tricks or gimmicks, just 100% storytelling and atmosphere.